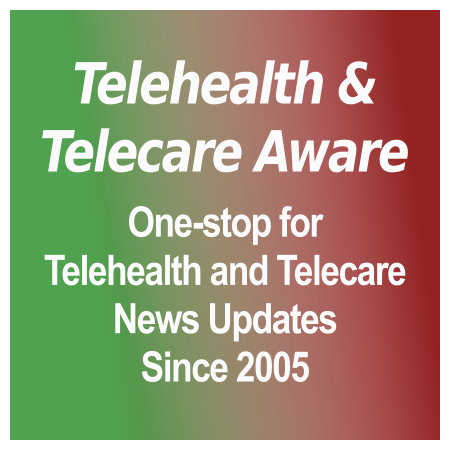 Breaking News, Updated The Department of Veterans Affairs (VA) on 1 Feb issued over $1 billion in awards to four companies to provide Home Telehealth vital signs monitoring technologies to veterans in home care and monitoring. The four companies are Medtronic, Care Innovations, Iron Bow Technologies, and 1Vision LLC. The $1 billion is split evenly between the four ($258 million for each company over the five-year duration). The contracts are for an initial year (31 Jan 2018 end date listed on GovTribe.com), renewable annually for five years total. The bid process started in 2015 and the award had originally been scheduled for early-to-mid 2016. Medtronic is the incumbent as a supplier since 2011, dating back to Cardiocom’s 2011 award for its home monitoring units (Cardiocom was acquired in August 2013). Medtronic is a Dublin, Ireland HQ’d company with a US headquarters in Minnesota. Care Innovations is well known to our Readers as the developer of Health Harmony and the acquirer of the QuietCare telecare/behavioral monitoring used in senior housing. Their parent is Intel. Iron Bow Technologies is a supplier to VA in other healthcare areas (telemedicine and store-and-forward) and is a large, privately held IT company with multiple Federal contracts and deep Federal contractor roots. Their revenue has been reported at over $462 million (Washington Technology Top 100 2016). 1Vision LLC is a new company formed as a joint venture between HMS Technologies, Inc. and MBL Technologies, Inc. Neither are previously engaged as home telehealth providers, but both are Federal contractors. According to their individual websites, HMS is an IT systems integrator and MBL is engaged primarily in cybersecurity. While the award is the largest in US telehealth, the VA is, by this Editor’s experience in her last position with Viterion Corporation, extremely demanding on its service providers and will be even more so in the future. The future reasons are clear: 1) President Trump has put a Klieg light on the VA and 2) he’s named a new VA secretary, Dr David Shulkin, who is currently VA Undersecretary for Health (confirmation hearing notes courtesy of POLITICO, nomination approved by the Senate committee Tuesday, and easily confirmed Monday night 13 Feb), who has been highly engaged with HIT issues, including both the VistA EHR modernization/replacement and initiatives such as the recently unveiled Digital Health Platform [TTA 12 Jan]. VA requires a dedicated internal (or external) structure to service multiple delivery, security and implementation levels, down to the 21 areas called VISNs and individual facilities–and this is an understatement. It is no wonder that the new award winners already have multiple Federal contracts and ‘know the drill’. 1Vision, as a joint venture, is the smallest, but has the advantage of being a certified Service-Disabled Veteran-Owned Small Business [SDVOSB]. The other three are giants (or owned by giants, in the case of Care Innovations). 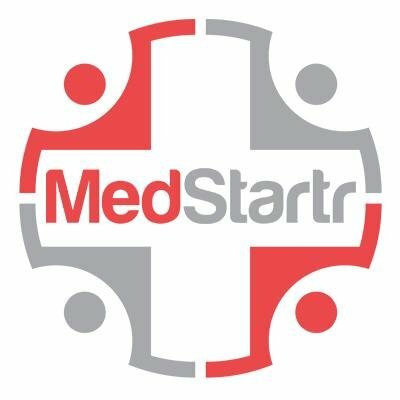 Of the four, the one with thousands of units already in place is the incumbent, Medtronic.Unless Home Telehealth is expanded drastically and there’s an internal requirement for adopting different systems in VA regions, the tendency will be for the VISNs to adopt what they know, what is already in place and widely used. Certainly, Medtronic knows this and will take full advantage. Getting implementation is hardly turnkey. It would seem that Iron Bow and 1Vision are at a particular disadvantage, not being telehealth (vital signs monitoring) hardware, software and reporting providers. For them, even integrating an existing provider will take both time and funding. One last caution. While it’s good news for these companies, the award is no guarantee of long-term success. Note the sole survivor from the 2011 five-year award is Medtronic (then Cardiocom) [TTA archives 12 Apr 2011]. The other five are either out of business or no longer in telehealth. Medtronic this morning issued a press release on their award. Tags: 1Vision LLC, Cardiocom, care innovations, Commander Flex, Department of Veterans Affairs, Health Harmony, Intel, Iron Bow Technologies, Medtronic, Quietcare, va, and VA Home Telehealth. This is just another example of our government spending hundreds of millions with companies who (1)are not in the telehealth or (2) pushing old legacy 20 year old technology. No wonder the nation spends billions on the delivery on Vet healthcare services and the results are no better than the 3rd world..
Robert, I respectfully disagree with your assumption that the companies awarded are not in telehealth and/or pushing old technology. I think you would be surprised to learn how far all of the awardees, old and new, have come along with their technologies. Eric, you are correct as it pertains to Vivify and to Care Innovations. Medtronic is a mystery as to their latest system to succeed the Commander Flex. Since we don’t officially know which company is partnering with 1Vision, we can’t judge. One can only hope that the VA care coordinators work to aggressively adopt telehealth technologies for veteran care, and that VA’s eventual replacement of VistA doesn’t through a giant wrench in the works. Robert, I agree with you that the $1 billion amount is eye-blinking, but it is over 5 years. The total value of the 2011 five-year contract over six companies was $1.3 billion. Since I was with one of the unsuccessful (and now departed) bidders–Viterion, which had supplied the VA with telehealth services even before 2003 when telehealth was in pilot–I believe I am qualified to make a highly educated guess that the two non-telehealth companies have already partnered with telehealth companies with recognized systems. That information is oddly not public and should be. See later coverage for Iron Bow partnering with Vivify Health. Then again, it looks like the VA’s VistA EHR is not long for this world, and transitioning over to a commercial system in the middle of all of this is going to be interesting in terms of integrating patient records with the data generated from these telehealth systems. You hit the nail on the head. Old technology, Not addressing the needs of a vet, big companies wanting big money. I say this as a disabled Vet who is working with a team who has built a TeleHealth system for VAD and Transplant Remote Patient Monitoring (It can be tailored for Chronic Care). Yes we do the normal BP, Pulse OX, Scale but go beyond that to engage with both the patient and care providers, Phone/Video, Behavioral, Plan Care path, etc… For 1 Billion, heck I would have done it for half, and delivered a system that each of the big boys are now tying to copy. Hey VA give ActiCare Health a call we can save you 500 Million. Brent, thanks for your comment and for your USMC service. The VA opened the solicitation to all in 2015 with a group of finalists being notified last year. (Viterion was one of the finalists.) The $1 bn is the total of all four awards. Federal solicitations involve a long, expensive, and resource draining road–and if you win, the servicing may well tip you into the red. The VA solicitation was complex and draining for a small company like Viterion, despite being an incumbent with a 13 year history largely under the prior (Bayer) ownership. The lesson I learned from this experience was that a small company, employing veterans but not owned by same, had little chance of success. But if you are interested, especially if your company falls in the veteran-owned or SDVOSB categories, you should be monitoring FedBizOpps and GovTribe.com for opportunities. Start with a small bid to learn the ropes and go from there. It will also help you decide whether the cake is worth the candles! There is a huge disproportionate amount of Veterans vs. the general population that have long term alcohol, substance abuse and addiction issues that are not being addressed by the VA. I have been in health care for almost 30 years, and I would be conservative to say that at least a third of these Veterans that come through our hospital doors have these issues vs. the general population at about 9% (I have statistics to prove this), leading to a revolving door of discharges and readmits to skilled nursing as a direct result of their abuse and addictions. Until there is greater emphasis on rehabilitation from alcohol and other substance abuse issues, we are doomed to spending millions, if not billions more for Veterans’ care as a direct result of alcoholism, substance abuse and addiction, and I don’t care who is throwing contract money to healthcare providers without addressing these serious issues. Howard, thanks for bringing in the clinical perspective. Your concerns are valid. Telehealth can and does help with PTSD, TBI and substance abuse. But it has to be used properly by care coordinators and there have to be different protocols. The challenge is to get VA care coordinators to adopt technology and use it! The VA cannot fix the home environment and home resources of veterans who are substance abusers and more often than not when those are not supportive and are places of stress, no matter what the treatment and rehab may have been, returning to abuse is too often imminent. Would you care to share your statistics with me? I’m a service-disabled veteran, and find your comments about addiction most disturbing. Sometimes the VA responds, sometimes not, but hard facts are hard to ignore. This highlights the problem with the selection process for Technology Solutions .. from 2015 to 2017 there have been tremendous advances in device and communication technology in the industry. Unless partnered with one of the dinosaurs of the past the new technology is not considered and the solutions provided are often antiquated before they are installed. Time and time again we have old, obsolete “solutions” selected by these multiyear selection circus! There has to be a better way to ensure the dollars spent are getting todays technology not 2 to 5 year old technology. I also maintain that for VA, home telehealth technology does not have to be the most advanced. It has to be highly usable by the veteran patient population, meet their needs and situation (e.g. wi-fi vs. wireless), and have an interface/reporting platform easily usable by the care coordinators to provide better care. Data also has to transmit into the VA’s EHR. All this has to be rock-solid reliable, which brand-new tech is often not. Hi Donna, my comment was meant more a generic observation of government selection processs, having participated on both sides of the table. I am sure the definition of requirements were probably created internally as far back as 2011 for an RFI / RFQ released in 2015 to be filled in 2017. The requirements are now 6 years old and will require expensive revisions to meet todays actual requirements. Each change is extra cost … most IT contracts exceed their budgets by large % as a result of outdated specifications and needs. In that time consumer level technology has emerged to monitor and track vital signs with an open API so that the data can be integrated with other systems without major cost of effort. The accuracy of these devices is amazing and new improved devices are being released that will soon track not only Heart Rate, Blood Pressure, Sleep and other body measurements, they will be able to monitor Blood Glucose, Blood Oxygen, Blood Alcohol, Blood Temperature, Hemoblogin, Velocity of blood, and many other factors. The consumer market is poised to surpass the health care system with low cost, reliable devices as part of the massive expansion of the IoT … The latest device was released in Japan and Phillipines last week and will be introduced to Norway and Northern Europe on April 1st. Consumers will now be able to take their smart phone with them to the Doctor Office and show all of these measurements over time … graphical reports will easily show trends and indicate unstable or out of normal readings. Let the private sector develop and partner with the successful products early in the cycle not after 10 years when the system is no longer viable .. it is time for some innovation and “out of the box” thinking on the part of the health planners. Allan, your comment is sound, however I believe that the solicitation requirements were largely new (within past year). However, my experience with the VA in the time I was with Viterion was that VA is anything BUT open API or, for that matter, open anything. The security, updating, and customer service requirements are demanding and costly, requiring dedicated or mostly dedicated staff. See my comments above re servicing. If there is a BYOD component, rest assured that the security requirements will be stringent. Commercial, even with HIPAA, is nowhere near as onerous.